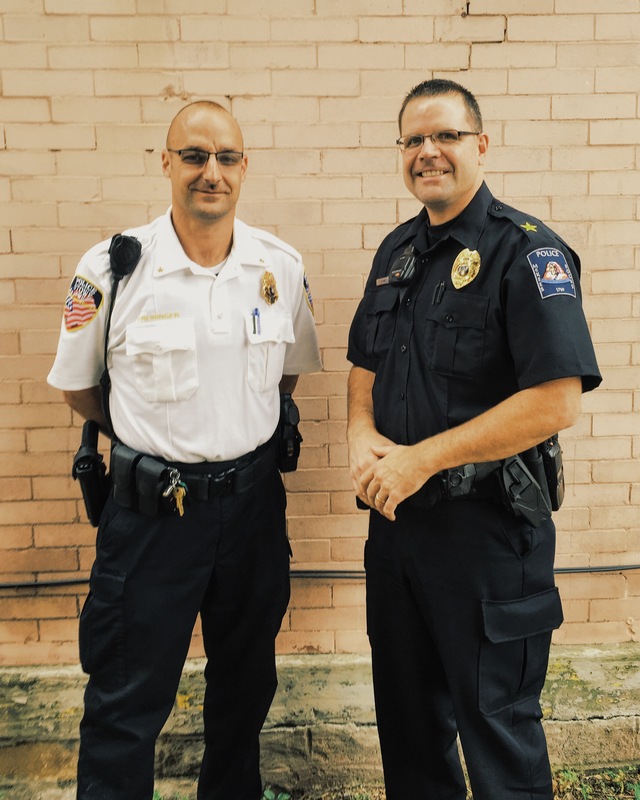 Police Chiefs Richard Deliman and Matthew Preininger and their departments are joining forces to bring National Night Out to Sto-Rox. Summer fun in the McKees Rocks area is off the charts this year. In addition to the annual Ukrainian Food Fest and the Food, Music and Art festival known as Feastival, our local police departments have joined forces to host a National Night Out Block Party on August 1. This inaugural event between McKees Rocks and Stowe Township police departments is part of National Night Out, a national movement designed to bring police departments and the communities they serve together in a social setting to build relationships. The event will feature a cookout, refreshments, crafts and activities for children, safety information, crime prevention techniques and more. A deputy from the Allegheny County Sheriff’s Department and project D.U.M.P. (Disposal of Unused Medications Properly) will be on hand to collect unwanted medications. Children will love seeing all the emergency response vehicles including an Allegheny County 911 training vehicle, fire trucks from McKees Rocks, Presston and Stowe Township, North West EMS and obviously police vehicles from McKees Rocks and Stowe Township Police Departments. “Let’s get together, hang out talk and show everyone that we work together to combat crime and that the PRIDE of being from the ‘The Rox’ is alive and kickin’,” said McKees Rocks Chief Richard Deliman in a release. The first inaugural National Night Out Block Party where you can meet neighbors and officers from both police departments is set for Tuesday, Aug. 1 from 5 to 8 p.m. in the parking lot of the Sto-Rox High School, 1105 Valley Street. 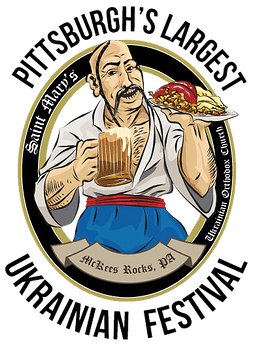 In its 15th year, the Ukrainian Food Fest or Ukie Fest as it is affectionately known by locals will again be offering the opportunity to eat, drink, dance and be merry in the McKees Rocks Bottoms. Set for July 26 – 29 at St. Mary’s Ukrainian Orthodox Church, 116 Ella St., the event will include all your favorite Ukrainian dishes including pierogi, halushki, stuffed cabbage and more. Doors open at 5 p.m. In its 5th year, Feastival returns to the McKees Rocks municipal parking lot with music, food, and art on Saturday, Aug. 26. Enjoy food truck cuisine, beer, area artists, welding demonstrations, craft vendors, a children’s fun zone and more from 3 to 9 p.m.
Colorado-based jam band Leftover Salmon will headline the event. Other featured performers include Pittsburgh Jamband theCAUSE with Jeff Mattson of Dark Star Orchestra & Randy Baumann of 102.5 WDVE, Starship Mantis, Lyndsey Smith & Soul Distribution & DJ Michael Canton from 91.3 WYEP. The event is free with online general admission registration or $5 donation at the gate. 21+ VIP tickets which includes private viewing and seating area, full-service cocktail bar, limited edition concert poster, limited VIP parking, private restroom trailer with AC, and drawings for prizes including a meeting and greet with Leftover Salmon are $75. VIP tickets or online registration is available here. Want your event to be featured on our online community calendar? Send event info to sreis@mckeesrocks.com or by calling 412-331-9900.